Well folks, Christmas this year has arrived early! First we get the great news that Joe Bonamassa and Beth Hart’s album “Seesaw” was nominated for a GRAMMY. Earlier this week, Kevin “The Caveman” Shirley posted this picture on his Facebook. Kevin was beside himself to see that the DVD he produced went platinum. 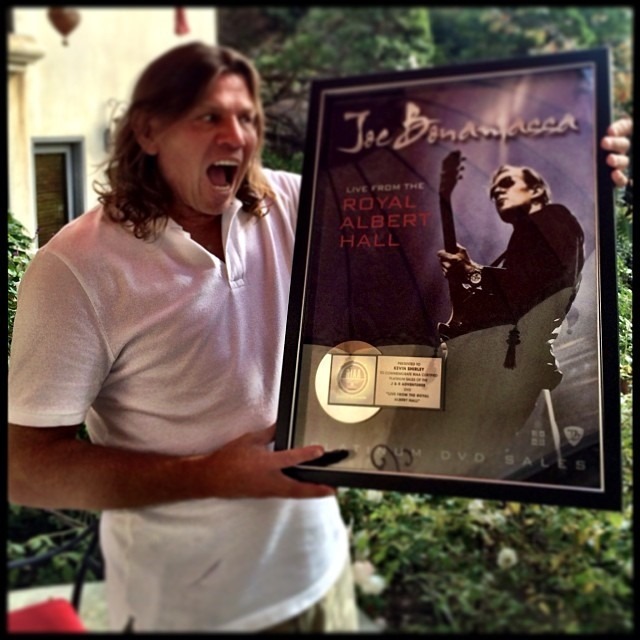 That’s right, Joe Bonamassa “Live at Royal Albert Hall” is now certified PLATINUM in DVD sales by the RIAA! 2013 has been a great year for Joe and I’m very excited to see what 2014 will bring! Well deserved. Congratulations and Thank you.